home Beauty Kat Von D is Launching Her First Mascara in Nearly Five Years and It Looks Amazing! Kat Von D to launch her first mascara nearly after five years. Some great news for all the fans of Kat Von D out there. Your girl is back with a new product, basically, a mascara called Kat Von D Beauty Go Big or Go Home Mascara which sets to be launched next month on 19th April. And what's so great about the news? Well, the Go Big or Go Home Mascara is 100% vegan and cruelty-free. Jackie Cruz who plays Flaca in Orange Is The New Black is the face of the campaign. 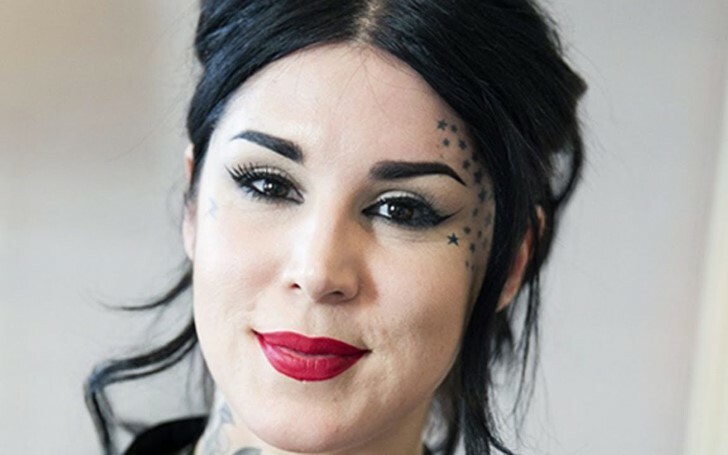 Kelly Coller, Head of Global Marketing and PR at Kat Von D Beauty, broke the news to The Zoe Report through an email, revealing the company really admired the actress and immediately decided to make the offer after she attended their 10th-anniversary party. Kat Von D Beauty Go Big or Go Home Mascara to be launched on 19th April. Coller said they already knew they wanted to approach her whilst they were still on the procedure of making it, and that they were grateful when she accepted their offer. In his words, he said: "We knew she was a fan of our Tattoo Liner so naturally she was always at the top of our list to partner with in some way." Kelly added: "It also doesn’t hurt that she represents our Latina heritage and we simply adore her." As a matter of fact, to the Kat Von D brand, Cruz was the perfect choice for how energetically she speaks to the brand ethos fearlessly with her 'strong self-expression' and also for her love for animals. In addition, it's assumed the company wanted to get the formula unique and correct on their vegan product which is what took them all these years to launch the flattering Mascara. The Go Big or Go Home Mascara enriched with plant-based fats mixed with olive and sunflower oils includes smooth texture which will provide your lashes a big, thick and blown-out volume making the eyes appear radiant and complementary in results. One of its great strengths is that the mascara is long lasting and won't be easily peeled off or be smudged. And despite being made with such formula, the mascara is not pale or glassy in color. Nope. Go Big or Go Home Mascara is dark, in fact, super dark like any other mascaras found in stores. As for its brush, it's made with a custom-designed Fluff Brush that consists of wavy fiber bristles catch and when coated on the lashes, it will give you that fluffy full coverage. The Go Big or Go Home Mascara will be available on Sephora retailing at just $23.